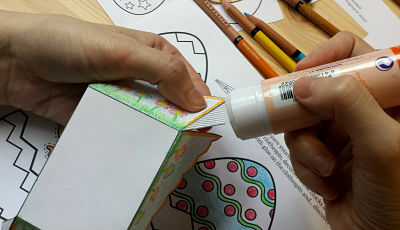 Easter is coming up and our Chromers can´t wait to start searching for the eggs, however some Chromers admitted that they didn’t know why we celebrate Easter and where the Egg hunt comes from. Do you know it? Easter is a Holiday, on which the resurrection of Jesus Christ from the death is celebrated. Before Easter Day the Holy Week is celebrated, the most special days are Maundy Thursday and Good Friday. But, where comes the egg hunt from? Well, the custom of giving eggs during Easter is to celebrate new life. 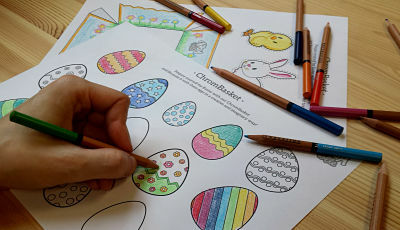 The egg hunt comes from the Christian faith; the eggs symbolize the empty tomb of Jesus. 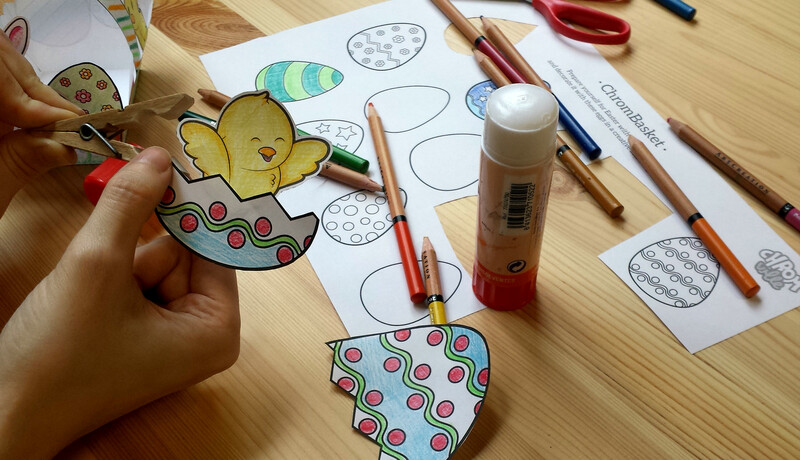 We decorate the eggs and play egg hunt because of tradition. Every country has different traditions with Easter, we eat all kinds of different Easter bread and spend the day differently. However, the eggs hunt tradition is for everyone the same. Do you want to look for the eggs with your new Chromville basket? 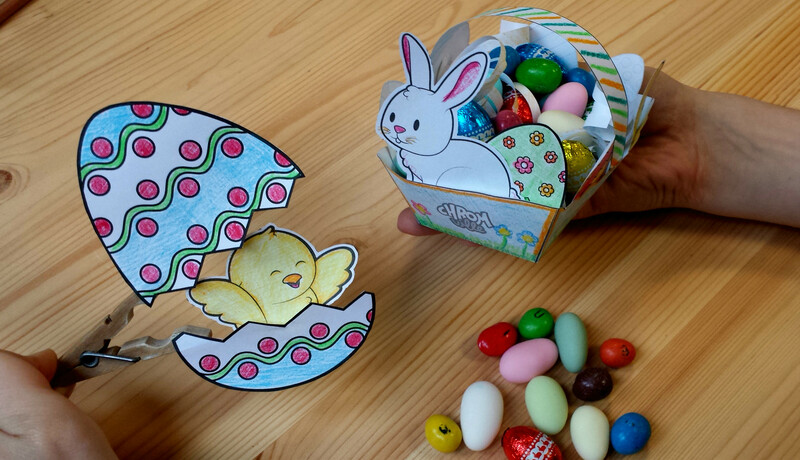 You will have your own amazing Chromville basket to look for your eggs and your own egg just by following a few easy steps! Go to the website and download the ChromEaster document from your account. Remember you can only download it if you are registered on our website. Color all the parts of the basket and the egg as creative as you can! Cut the pieces of the ChromBasket set individually. 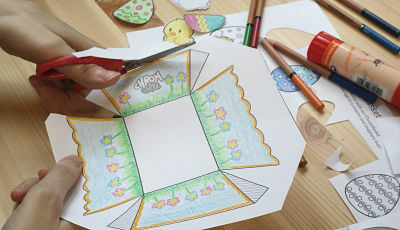 One page includes the basket, a little rabbit and a little chick, on the other page you can find the egg. Start with the basket: Stick the grey parts to the inside with glue, this way it will form into a little basket, glue the ends of the strip, where the grey stripes are in the middle of the basket, just like a handle. Wait a few minutes, and you created your own ChromEaster basket! Now start with the chicks: Cut the chicks and the eggs in half, take a clothespin and stick one egg part to the upside of the clothespin with glue, stick the other part on the underside of the clothespin. Use Scotch tape if the paper doesn’t stick to the clothespin. Stick the little chick on the back of the underside of the egg. Wait a few minutes and open your egg, look the little chick comes out! 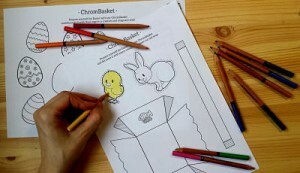 Now you can play with the ChromChicks, and you can search for the eggs with your amazing ChromBasket. Show us how you made your ChromChicks and your ChromBasket by mentioning Chromville on Twitter, Facebook, Google+, Instagram, Pinterest, with your photo!